Susan A. Spiker is a member of the firm’s litigation team. Her developing practice includes complex and mass tort litigation and personal injury litigation. Ms. Spiker earned her B.A. in Legal Studies from the University of California, Santa Cruz, where she was a Regent’s Scholar. She received her J.D. from the University of California, Hastings College of the Law with a concentration in civil litigation. During law school, Ms. Spiker served as president of Homeless Legal Services, the only free warrant defense clinic in San Francisco, and was honored at graduation for her dedication to pro bono services. 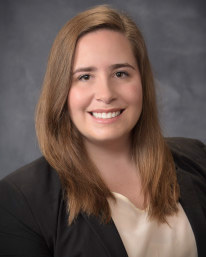 While at Hastings, Ms. Spiker also successfully represented clients in administrative appeals, and served as a mediator for San Francisco Superior Court Small Claims Department.